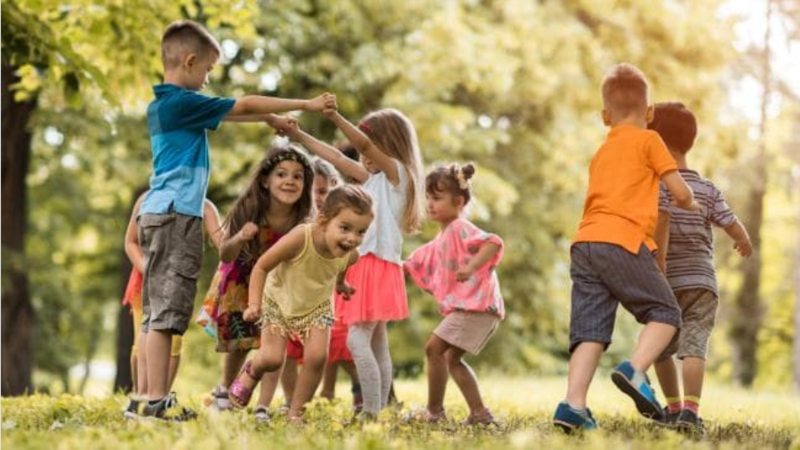 AUSSIE kids are happier than in other countries around the world thanks to their love of family, friends and having fun, a new study shows. Children from Australia say their family is their number one reason for happiness although they also love playing games and spending time with friends. They have an average of four best friends, with most saying their best friend is someone in their family. The study, by American movie and TV company Viacom, asked questions of nearly 6000 kids from 30 countries aged 6-11. The answers show Australian kids also love caring for their pets and see pets as important members of their families. But Australian kids do worry about their future. “While they are among the most happy, they do feel less confident, positive and optimistic* when it comes to shaping their own future,” Viacom’s Kirsty Bloore said. All around the world, children are aware of the suffering of others, with 61 per cent wanting to end wars and 58 per cent wanting to end world hunger. The report shows more than half Australian kids want to “bring happiness to the world” and find a cure for cancer. The study shows Australian kids are more independent* than kids in other countries. They are also less likely than children in other countries to think they can achieve anything if they work hard enough. The things that make children in this country happy include spending time with family and friends, going on holidays, watching TV and having free time. When it comes to relaxing, kids say watching TV and playing games on a tablet or phone are what they most enjoy. Nearly 70 per cent use more than one device at a time. Viacom’s Christian Kurz said the results showed kids all over the world were positive and excited by the future. “They are embracing* life with a fearless* attitude,” he said. This fearlessness is demonstrated* in the high number of positive qualities kids say they have. Globally, 89 per cent say they are creative and curious, 86 per cent say they are confident and optimistic and 86 per cent say they always look for the positive. Parenting expert Dr Justin Coulson said one of the most important things kids needed to be happy was the space and time to just be children. “The more they can be in nature and be active, help others, spend time with loved ones and friends, keep growing and learning, the happier they’ll be,” the author of 10 Things Every Parent Needs to Know said. “They’ll be more engaged in life, have more joy, and find more meaning,” he said. Balwyn North mother Nancy Ishkan said her children Josh, 9, and Charlotte, 11, were happy when they were with their family, which includes cousins Olivia, Gabriella, Sophia and Ava. “They love playing and hanging out. They’re resilient and happy to give things a go,” Ms Ishkan said. What makes Aussie kids happy? 83 per cent of Aussie kids use their free time to build new skills. 22 per cent have a social media account. Carefully read through the article and make a checklist of all of the things mentioned that make children feel happy. Do you agree with the survey results? Work through your checklist and tick off all of the items that make you personally happy. Then add to your list anything else that you can think of that makes you happy. Extension: Using your list to help you, write a description of what you think your best day ever would be like from beginning to end. According to Viacom’s report, friends are very important to Australian children and are one of the things that brings the most happiness. Who is your best friend? Do you have more than one? Is it someone from your family, or perhaps someone from school or an activity you do? Maybe it is a pet? Draw a picture of you with your best friend or friends. Then write a paragraph about what you like about them and how they make you happy. Extension: As well as having good friends, it is important to be a good friend! The things you do have the power to help others feel happy. Write down some ways that you can be a good friend. After reading the article, with a partner highlight as many connectives as you can find in pink. Discuss if these are being used as conjunctions, or to join ideas and create flow. Take a blank piece of paper and draw a grid of six spaces. You will also need a dice between pairs. Pick six different connectives to use in the next activity, try and pick some easy and some challenging ones. Write a different connective in each of the 1-6 grid spaces. Think of a topic. How about school holidays? Roll the dice and whichever connective you roll, you have to try and use to create a compound sentence about the topic. For example: I love school holidays BECAUSE I get to go and stay at Nana’s house. Take turns, going back and forth. After three turns each, change the topic. Please do not use one-word answers. Explain what you enjoyed or found interesting about the article. Use lots of adjectives.